We have waited an entire year to reopen the calendar and now it’s finally the first of December again. A lot has happened since last year and now we have two new hosts as a part of our WebTV team. Joltter is out filming on the road and creating tons of wicked videos for you to enjoy, so presenting our equally awesome Christmas in Unisport is Luca, JayMike and PWG. 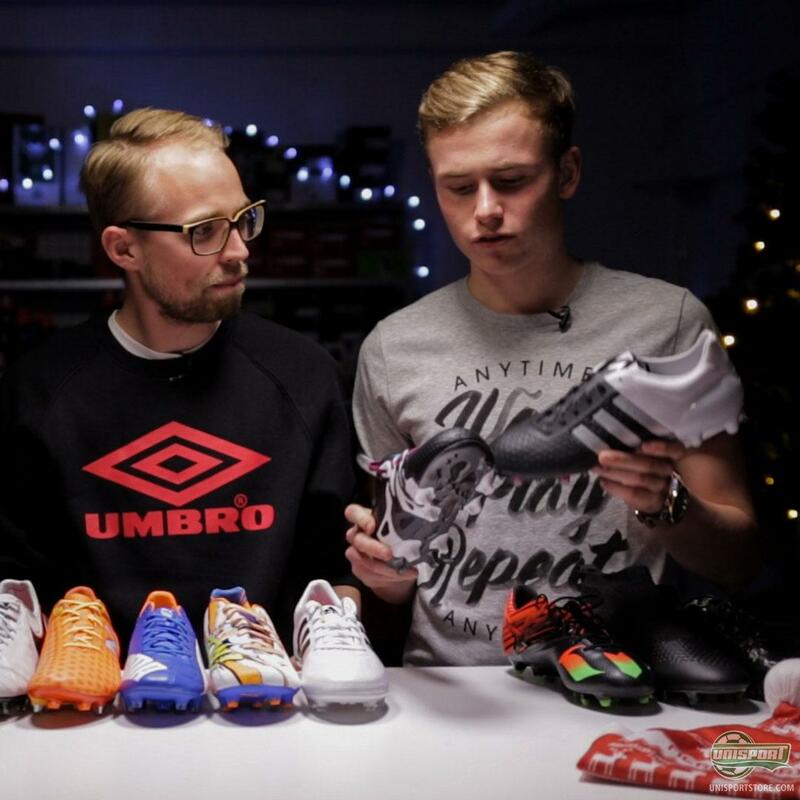 In this year’s first episode of Christmas in Unisport there was a lot to discuss. First and foremost there has been tons of new launches, for the three hosts to catch up on. There has been everything from the Nike Mercurial Superfly CR7, the new Tiempo Legend 6 and the rest of the Liquid Chrome Pack to PUMA’s crazy evoPOWER Pop Art boot and New Balance’s newest colour update for the Visaro & Furon. Lastly was adidas’ Messi15.1, Ace and X boots, as well as the ultra popular adidas Gloro. You can follow JayMike, PWG and Luca month on Christmas in Unisport here and on Youtube. And who knows? Maybe Joltter will find time to stop by during December. Tune into our site every day at six PM CET everyday and watch the newest episode.